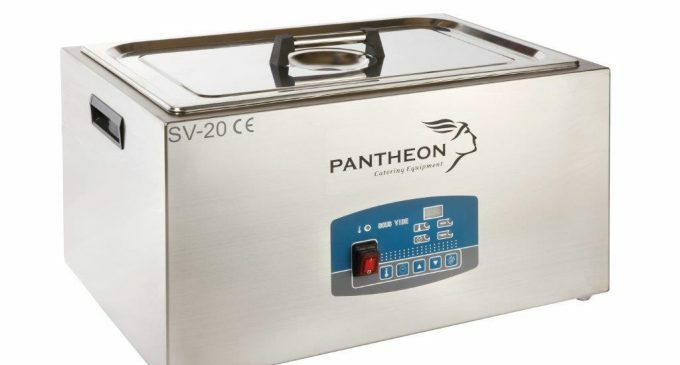 Catering equipment manufacturer Pantheon has launched several new sous vide water baths and chamber vacuum-packing machines in response to increasing demand. As with all Pantheon’s equipment, the water baths are exceptionally easy to programme with the touch-pad control. Meanwhile, chamber-style vacuum-packing machines may be used for a wider variety of foods and liquids. With a range of three, Pantheon’s chamber vacuum-packing machines comprise one counter-top and two floor-standing models, all with cycle times of between 10 and 25 seconds. The Pantheon sous vide and vacuum-packing equipment range is available throughout the UK from Pantheon’s dealer network.